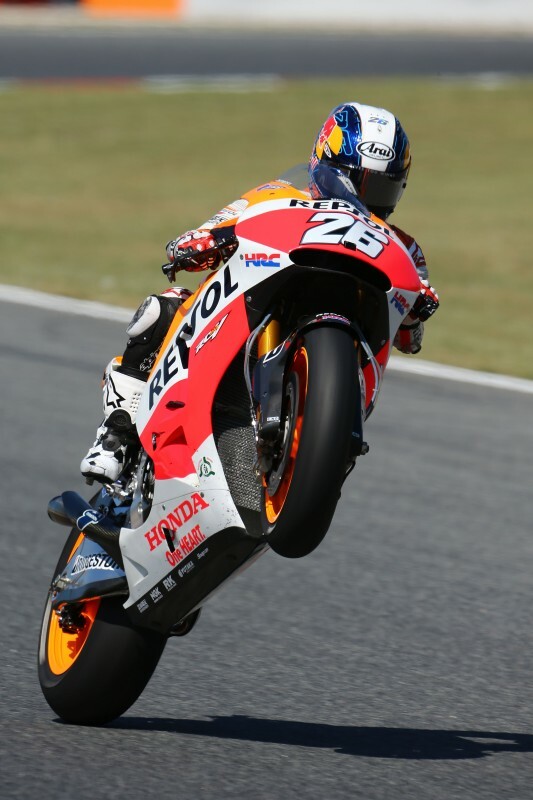 Local boy Dani Pedrosa has taken his first pole position since Catalunya last year at his home circuit with teammate Marc Marquez, who was been on pole every race so far this season, crashing out on his final run in qualifying. Dani, who is still recovering from his arm surgery… read more. Under incredibly hot temperatures, the GP of Catalunya got underway today. It was a strange day with the Repsol Honda Riders, Marc Marquez and Dani Pedrosa, working hard to find the best setting on their RCV213V Hondas. This morning when the air temperature was 31ºC and the track 44ºC, Dani… read more. 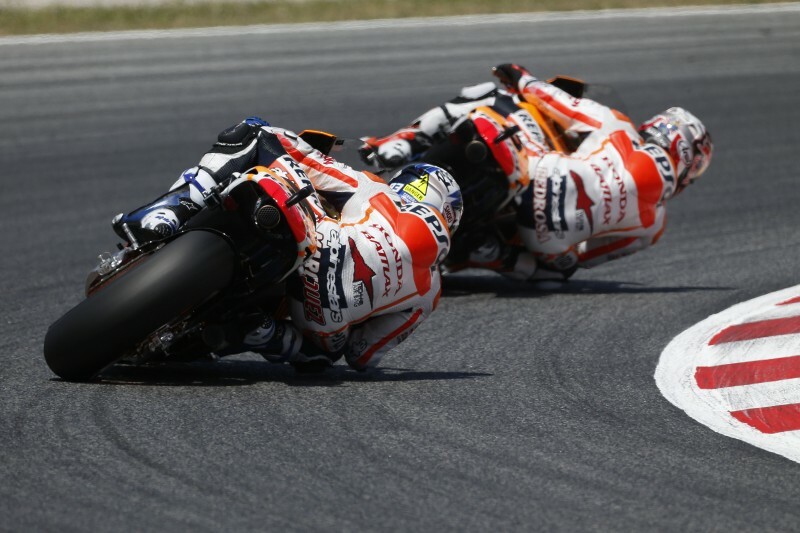 This weekend the Repsol Honda Team heads to Spain for the GP of Catalunya, known for the incredible atmosphere and support the home fans give their Spanish riders. One of the most modern and well-appointed circuits in Europe, Catalunya is located in the hills just 12km north of Barcelona. Its… read more. Repsol Honda’s Marc Marquez has once again taken more records, continuing his flawless start to 2014 with his sixth win in as many races. 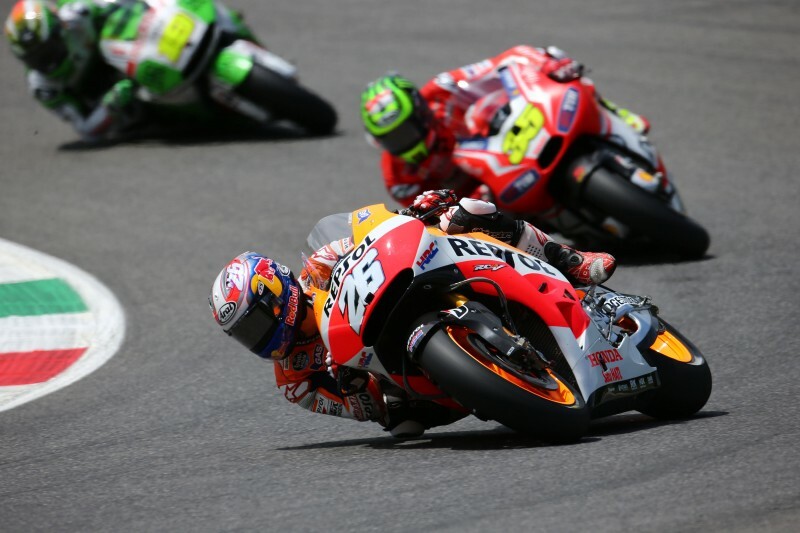 Teammate Dani Pedrosa, still suffering after his recent arm surgery, finished fourth after losing time battling with other riders in the early laps. From the start… read more. 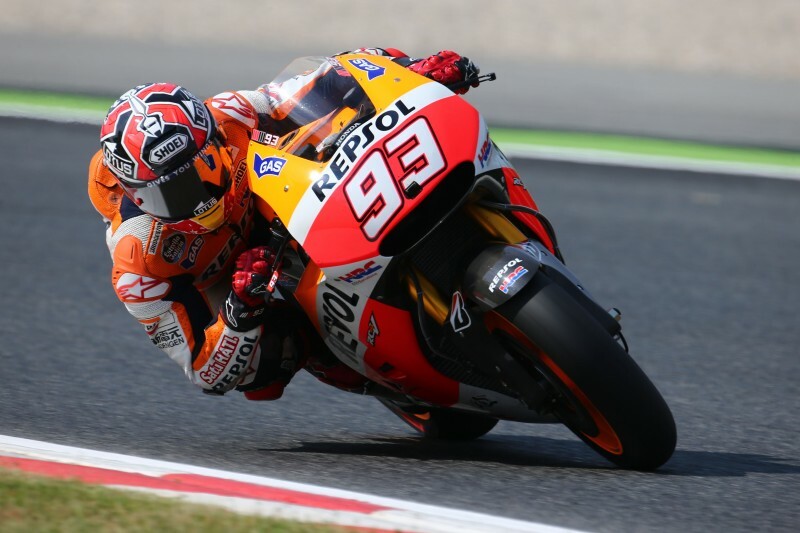 Repsol Honda’s Marc Marquez has taken his 6th consecutive pole of the 2014 season, in as many rounds, with teammate Dani Pedrosa in fourth. After the strange weather yesterday, when light rain prevented many of the riders going out on track in the afternoon, the sun was shining today in… read more. Repsol Honda’s Marc Marquez remains the main protagonist in Italy after setting the fastest time in this morning’s FP1 session. 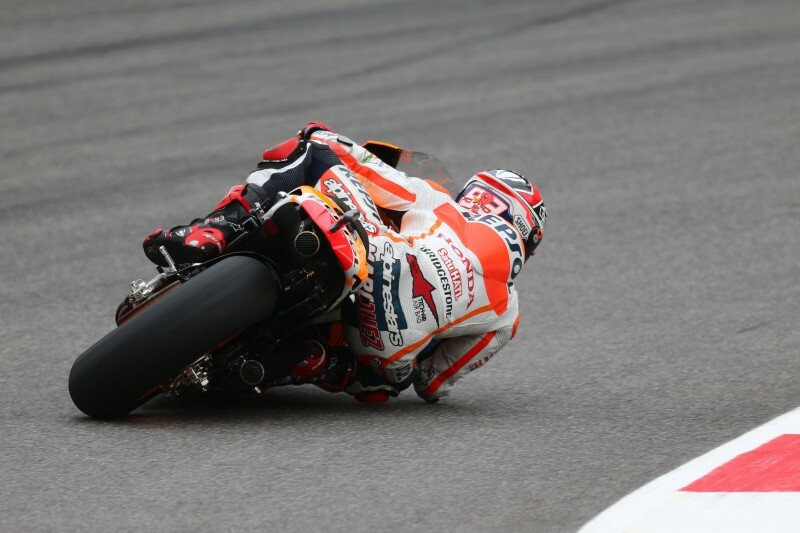 However, with the threat of rain – and light spots falling on the track – in the afternoon, neither Marc or his teammate Dani Pedrosa went out, in fact only… read more. 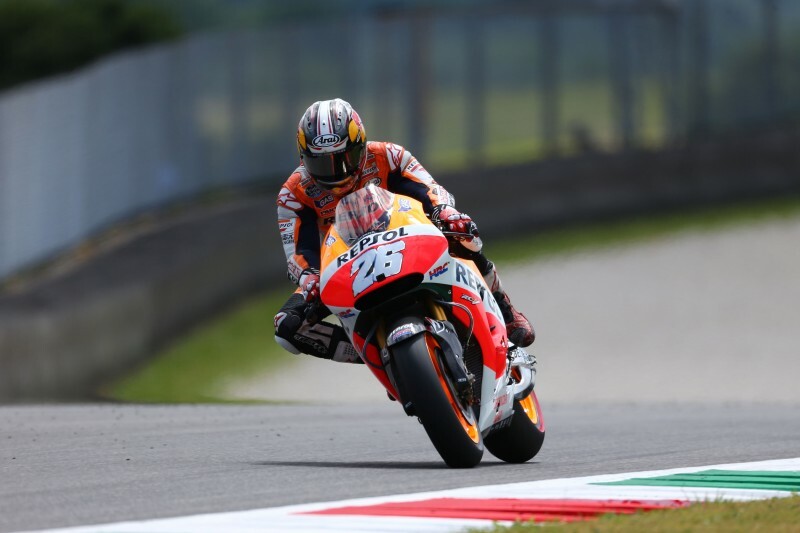 After continuing their perfect start to 2014 in Le Mans last week, the Repsol Honda Team and factory riders Marc Marquez and Dani Pedrosa are en route to Tuscany, Italy. Marc, who has won every race so far this season – and all from pole – has been victorious on… read more.